On the 18th of july, the winner of founder and young business-men 2007 was honored in Dresden by Saxony minister of state Thomas Jurk within the business-plan competition futureSAX www.futuresax.de. 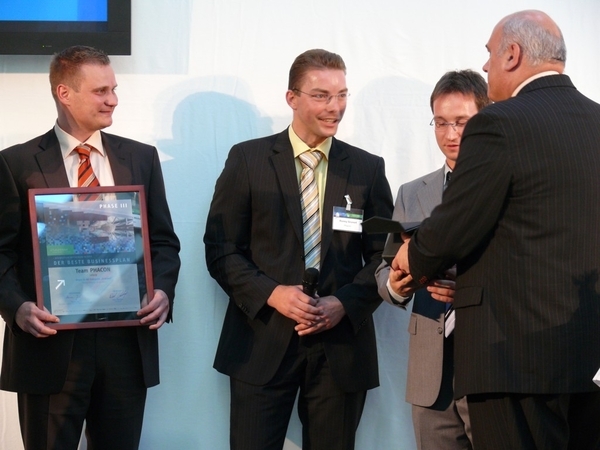 In the category “Founding” the ICCAS spin-off company PHACON GmbH won the first award. The team develops surgical simulation systems, detecting injuring of structures at risk during the simulation. Furthermore, PHACON creates patientindividual models for preoperative planning.